Published: Oct. 19, 2012 at 02:37 p.m. 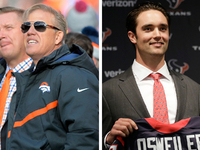 Updated: Oct. 19, 2012 at 09:12 p.m.
As absurd as that question would have appeared prior to the season, given Robert Griffin III's rookie status on the Washington Redskins, the spectacular performance from the No. 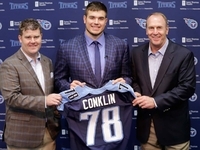 2 overall pick over the first six weeks of the season has thrust him into serious consideration. Griffin leads the NFL in completion percentage (70.2), ranks second in yards per attempt (8.5) and is one of only three quarterbacks with a passer rating above 100.0. 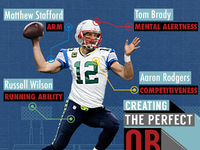 (RG3 sits behind Aaron Rodgers and Peyton Manning with a 100.5 mark.) In addition, Griffin leads all NFL quarterbacks in rushing yards (379) and ranks behind just Arian Foster with six rushing touchdowns. Those numbers would be astonishing for any player, but they're particularly staggering for a first-year player still adapting to the speed, tempo and complexity of the pro game. 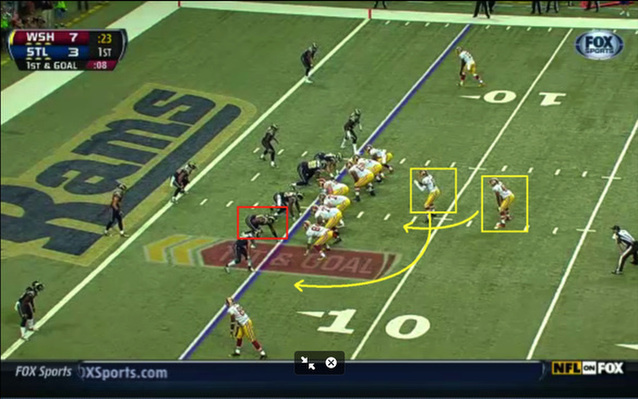 1) The Redskins take full advantage of RG3's exceptional athleticism. As an accomplished former track athlete, Griffin brings a unique set of physical tools to the table. He is an explosive sprinter with sub-4.4 speed and a quicker burst than most elite receivers in the NFL. In addition, Griffin is a nimble runner with superb balance, body control and agility. 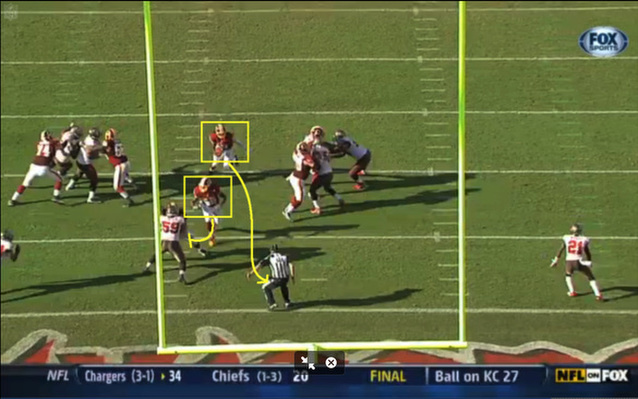 This allows him to avoid multiple tacklers, leading to big plays when he escapes the pocket. 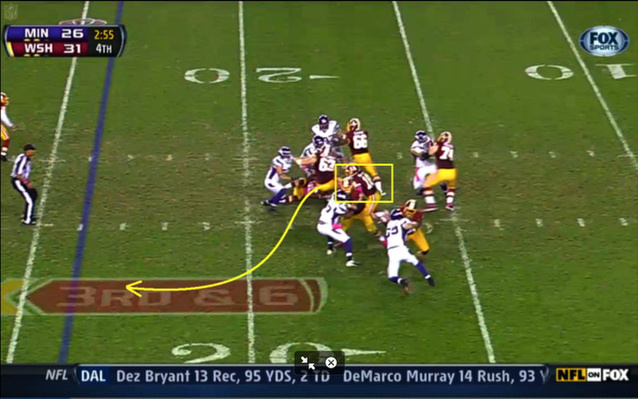 2) RG3 is a more advanced pocket passer than any other dual-threat QB in the NFL. Griffin is not only one of the most explosive athletes in the NFL, but he is a lethal pocket passer with the arm strength and accuracy to rival some of the elite quarterbacks in the game. 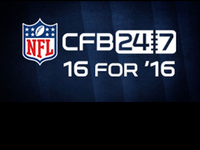 He has shown the ability to deliver pinpoint passes from the pocket to receivers to every area of the field with zip and velocity. 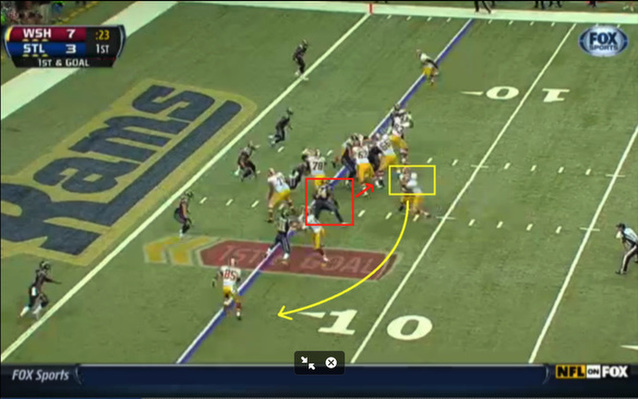 In addition, Griffin has shown the awareness and anticipation to throw receivers into open windows between defenders. This not only indicates his supreme confidence in his area, but also reveals his solid understanding of coverage and vulnerable areas in the zone. With Moss possessing the quickness to separate immediately out of the break, Griffin throws a laser to the front corner of the end zone for a three-yard touchdown. 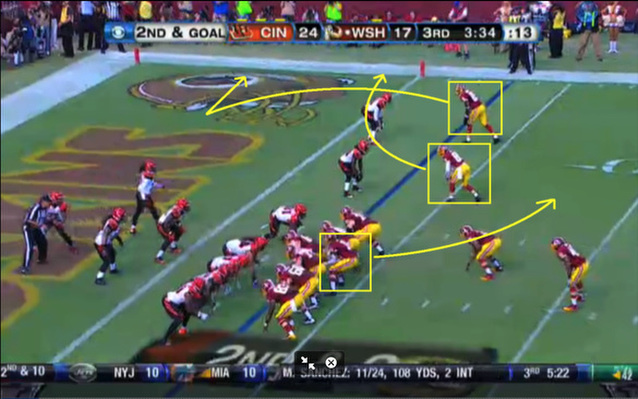 Griffin also has shown a surprising mastery of hot reads and sight adjustments against blitzes. In theory, quarterbacks and receivers will react to a blitz by a designated defender and connect on a quick route (slant or quick out) to defeat the tactic. 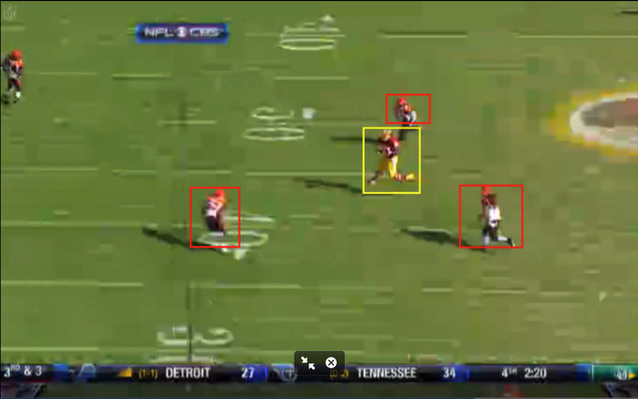 When orchestrated effectively, this allows the quarterback to exploit the vulnerable area of a coverage and potentially produce a big gain without taking an unnecessary shot in the pocket. 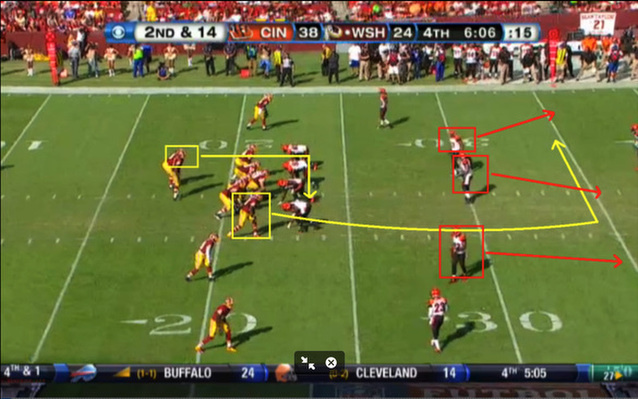 3) Kyle Shanahan does a fine job incorporating some of RG3's favorite college plays. Griffin's remarkable start should be attributed partially to Shanahan's willingness to implement some concepts from Baylor's playbook. 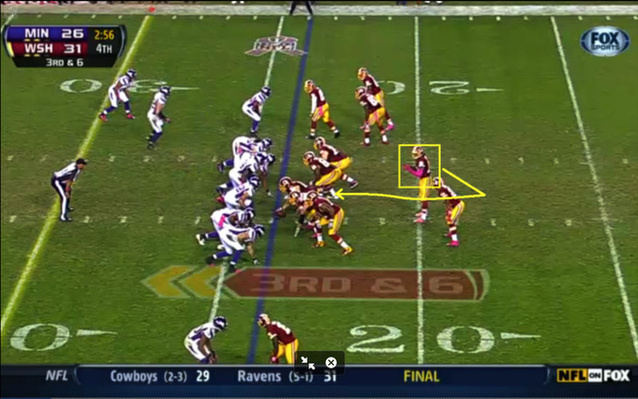 The Redskins routinely run bubble screens and zone-read play-action passes that allow Griffin to utilize footwork/play fakes he is very comfortable with from his college days. 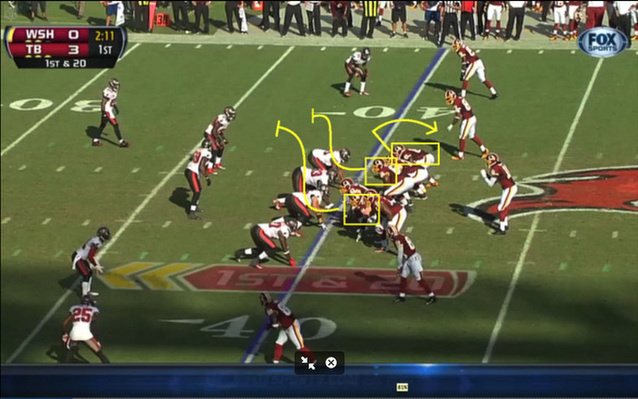 This results in Griffin getting the ball out of his hands quickly, enabling the Redskins to put their playmakers in a position to get loose in space. 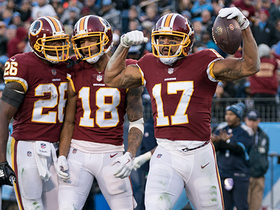 Given the explosiveness of the Redskins' receiving corps, this ability to pick up chunks of yardage on short, high-percentage passes helps Griffin maintain his rhythm and flow throughout the game. The result? A 26-yard gain and, of course, a fresh set of downs. 4) Griffin steps up his game under pressure. The true measure of a great quarterback is how well he performs in critical situations like third down, red-zone offense and the two-minute drill. Griffin has been spectacular in each, particularly in two-minute drills at the end of the game. 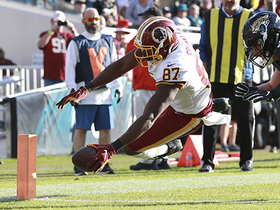 These Redskins have a propensity to win close games, thanks largely to Griffin's ability to make timely plays with the game on the line. 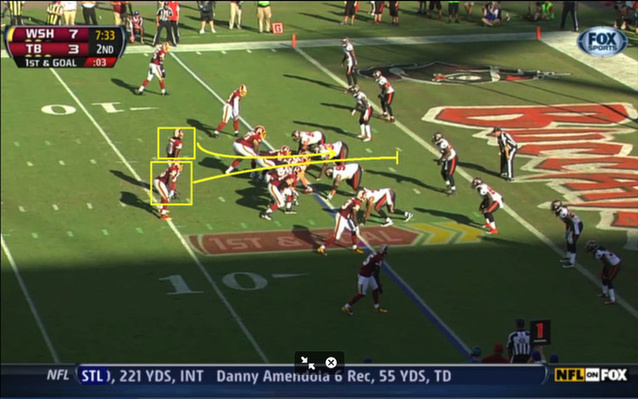 Against Tampa Bay, Griffin directed a seven-play drive that covered 61 yards to set up the winning field goal. 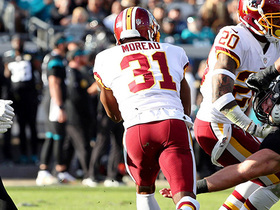 He connected on all four of his pass attempts and added a critical 15-yard scramble that put the Redskins within field goal range. While the overall composition of the drive was impressive, it was the rookie's composure that really stood out in my mind. Griffin understood all of the key components of the situation and masterfully led his team down the field with only seconds remaining on the clock. Griffin continued to show exceptional awareness and poise while finishing the game against the Vikings. 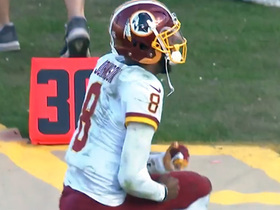 With the Redskins clinging to a five-point lead with less than four minutes remaining and facing a third-and-6, Griffin rolled off his aforementioned 76-yard touchdown run. While it is not uncommon for an athletic quarterback to make a first down with his legs in that situation, it certainly is rare for a quarterback to outrun an athletic defense for a long-distance score.